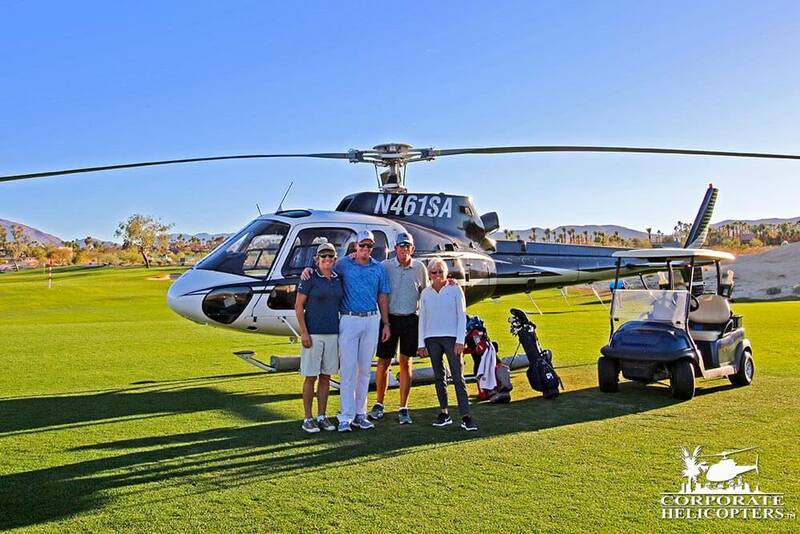 A helicopter golf adventure to Rams Hill. From San Diego to Borrego Springs and back. 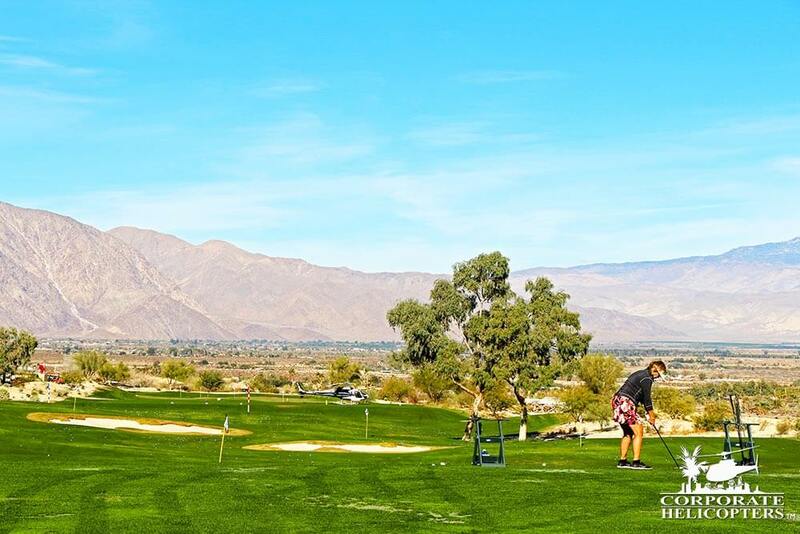 Love playing golf at one of the top rated courses in America? Don’t like all the driving between San Diego and Borrego Springs? This is the adventure for you. 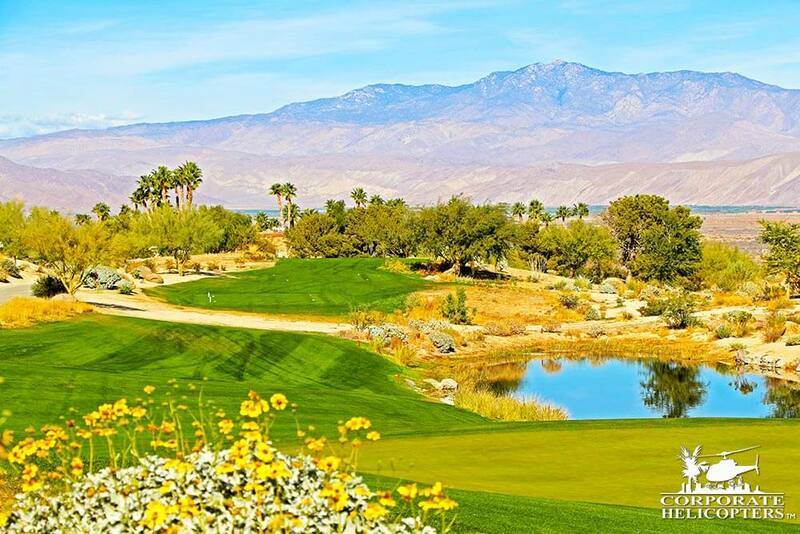 If you love playing golf at one of the top rated courses in America, but don’t like all the driving between San Diego and Borrego Springs, this is the adventure for you. 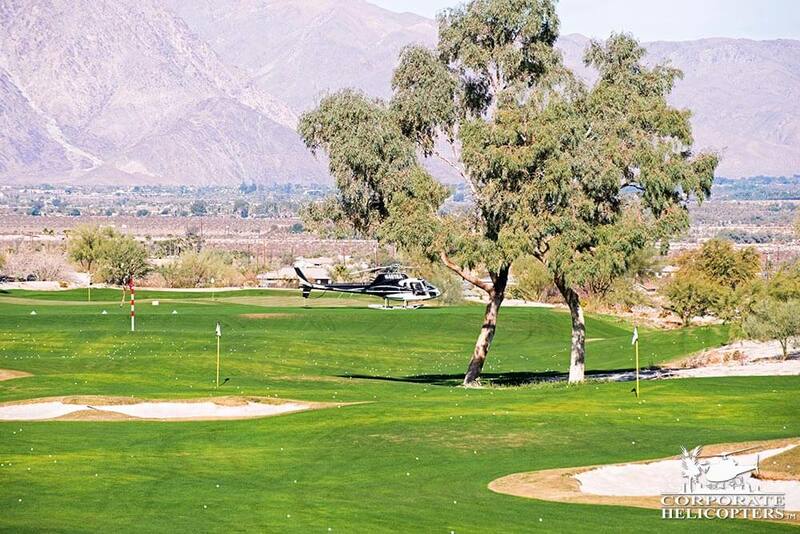 30-min private flight to Rams Hill Golf Club in Borrego Springs in a luxurious Astar helicopter. 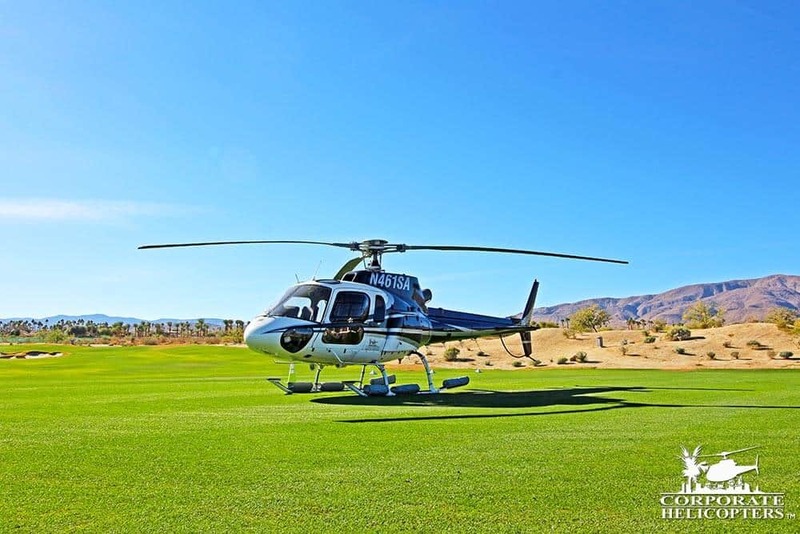 A luxurious helicopter features air conditioning, leather seats and ample space for a comfortable flight to Borrego Springs! 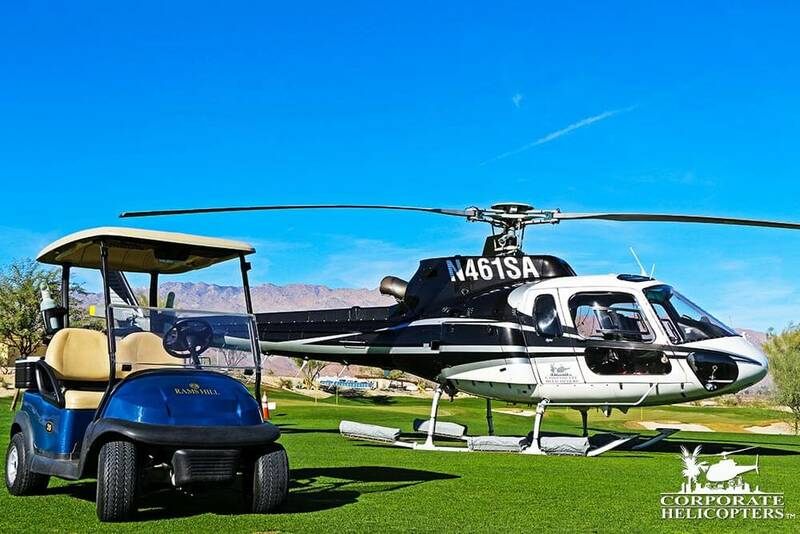 The helicopter will wait as you enjoy your round of golf and lunch. 30-min return flight to San Diego. $695 per passenger (4 passenger minimum). 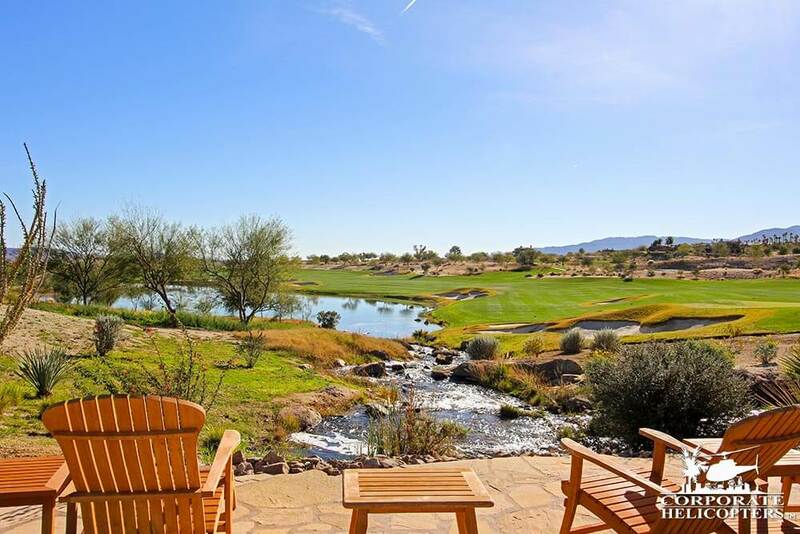 Cost of lunch & golf reservation are not included in the flight price. To Rams Hill in minutes. 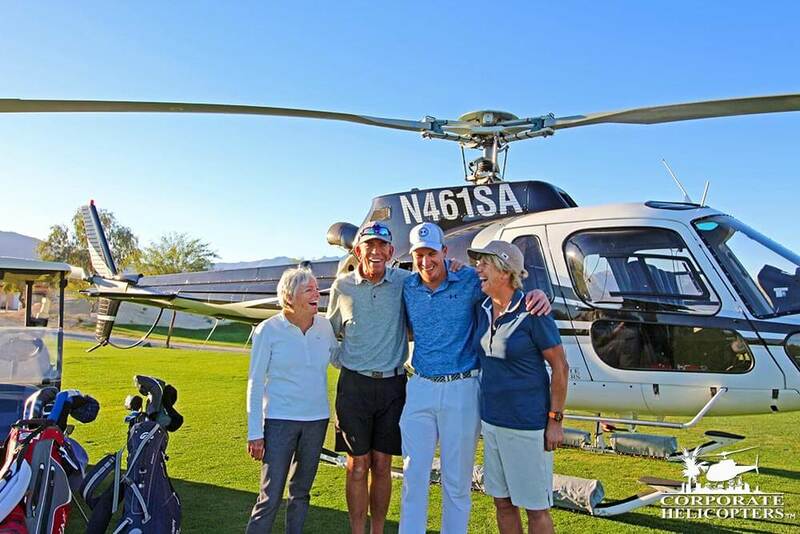 Corporate Helicopters’ luxurious AS350 B2 Astar Helicopter will take off from Montgomery-Gibbs Executive Airport in San Diego, California and fly 4 passengers with golf clubs in comfort and ease to Borrego Springs in under 30 minutes. Enjoy your game and lunch. 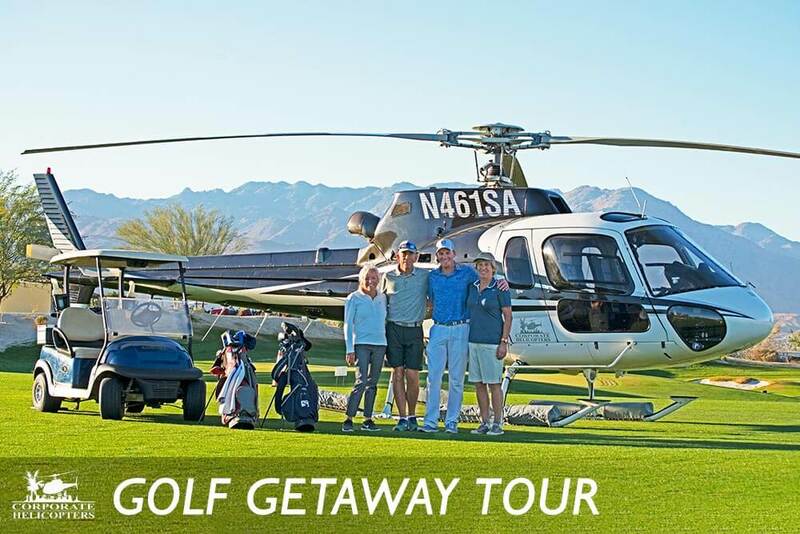 Once you have landed, your group will be escorted to the club where you will check in, get your golf carts and prepare to play 18 holes of golf. Your private helicopter and pilot wait as you complete the course, enjoy a gourmet lunch and partake in the incredible wine list. The magnificent views and company will remind you of how exclusive this getaway truly is. 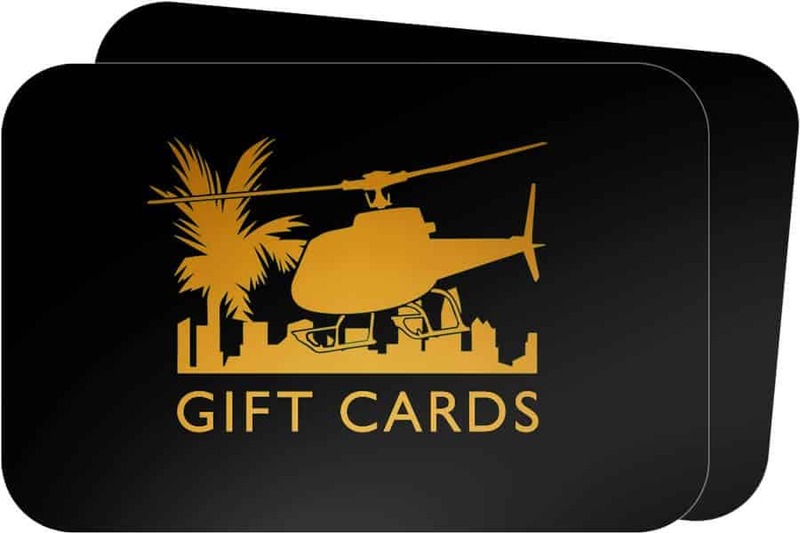 After your exceptional day, you will board your helicopter and arrive back in San Diego in minutes. Rated the Best Course in the Country in 2016 by GolfAdvisor, Rams Hill is consistently rated one of the top 50 golf courses in the country. Golfweek rated Rams Hill the 3rd Best Resort Golf Course in California – trailing only Pebble Beach and Spyglass. 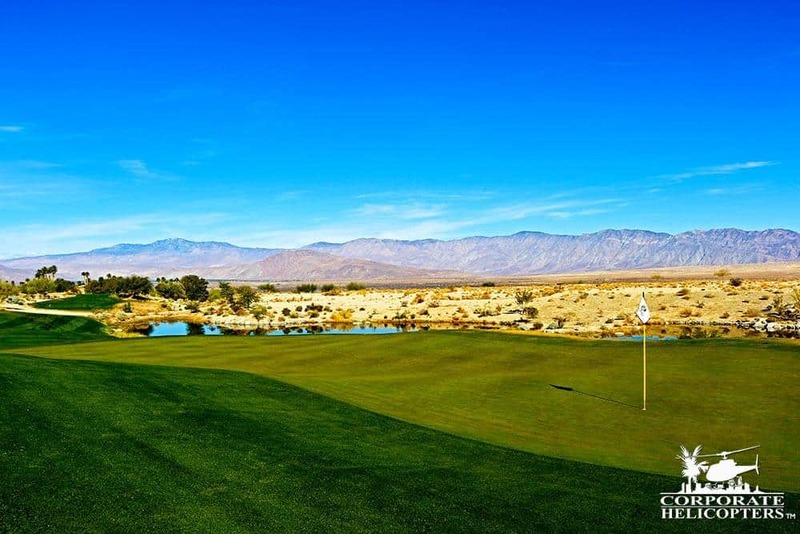 This Fazio course is nestled in the center of the immense Anza Borrego State Park, Rams Hill offers a unique sense of serenity. The atmosphere is one of constant tranquility uninterrupted by irritating city noise, draped in quiet and punctuated by the sounds of nature. The Bent greens are pure, large and undulating. The bunkers are numerous, filled with white sand and beautifully shaped. 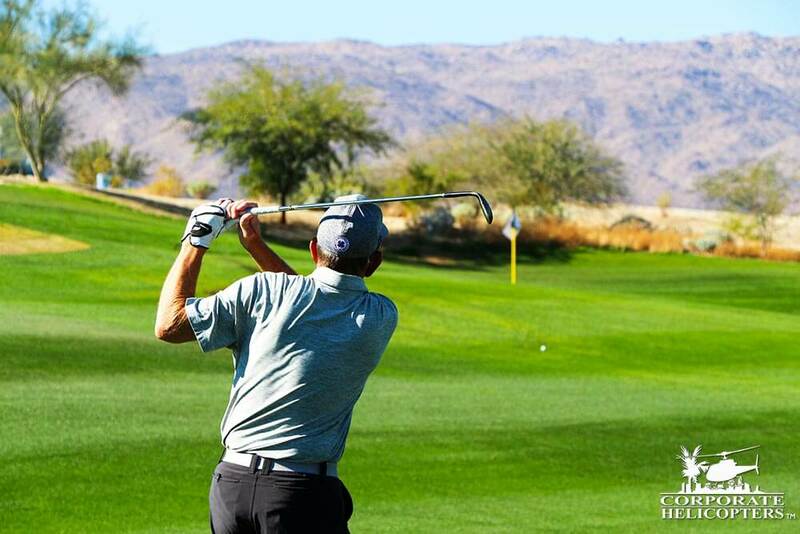 Even the non-golfer appreciates the pristine beauty of Rams Hill’s lush green fairways, and the waterfalls cascading into the lakes, which reflect the craggy, steep mountains that nearly encircle the course. 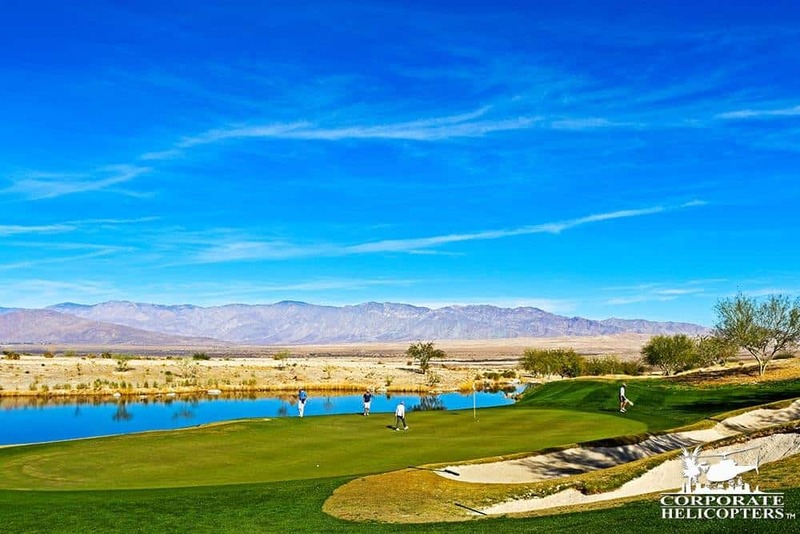 The Bent grass greens are as pure as they come thanks to balmy breezes, pristine well water, and the full desert light spectrum.